Why doesn’t she use the hijab in her work? Where has her work been shown? 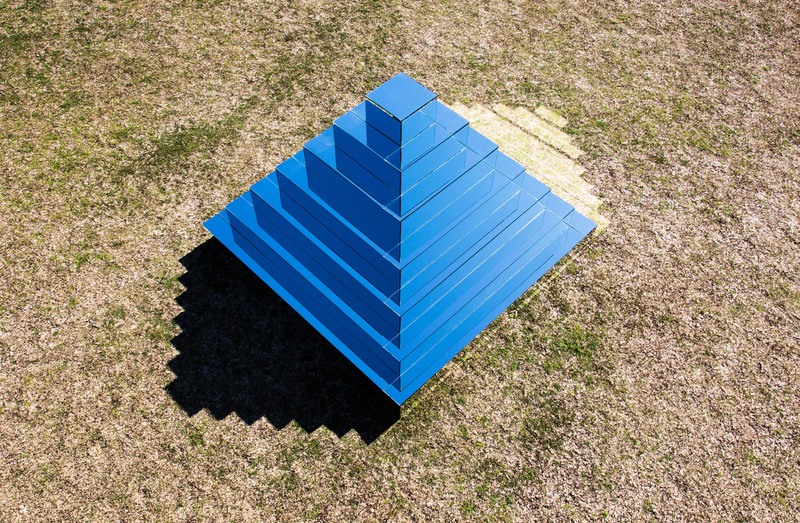 Around the world, artists have experimented with optical illusions. 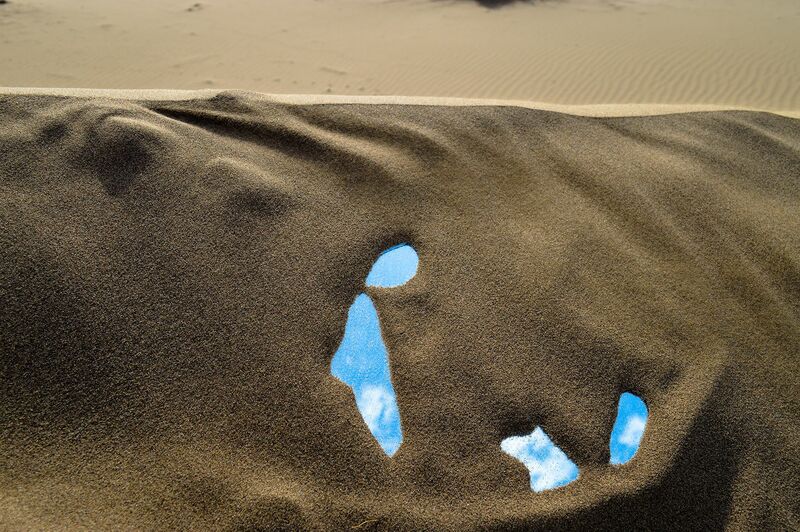 Amongst them is Iranian artist Shirin Abedinirad. Born in 1986 Tabriz, Iran, she started with a passion for painting, partially inspired by her parents. Both of them highly encouraged her to pursue art as part of her life. Her art studies began at Dr. Shariaty University in Tehran. Under the supervision of Abbas Kiarostami, Shirin also tested her hand in studying video art. At the IBAFF Film Festival in Spain, Shirin debuted a piece of performance art. She also performed some modeling after college. Shirin won a scholarship to work, study, and experiment at Benetton’s Fabrica Research Center in Italy. As she started in her art career, Shirin’s included images of herself or representations of herself. This may have stemmed from her work as a model. 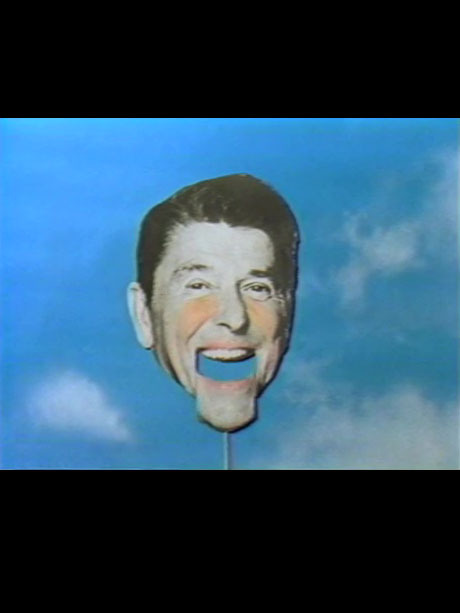 You can see this in her video and performance art work. One notable such piece is Ex Pencils1. More recently, Shirin Abedinirad has been focused on connecting her art to the natural world. Eastern relics, history, and beliefs also play a major role in her art, creating videos, and performances as well as installations. Shirin has made statements that she will not use her country of Iran or religion to gain her fame. An example of this is that she will not use the hijab in her work. While it may help her to receive more attention, it would only do so because the hijab is a famous and controversial part of her home country. 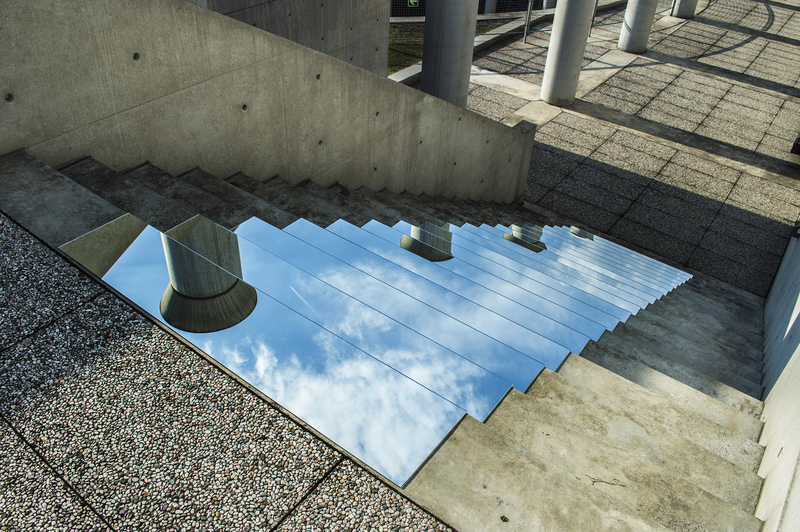 Of all of Shirin’s work, some of her most well-known works is a collection of mirror installations. 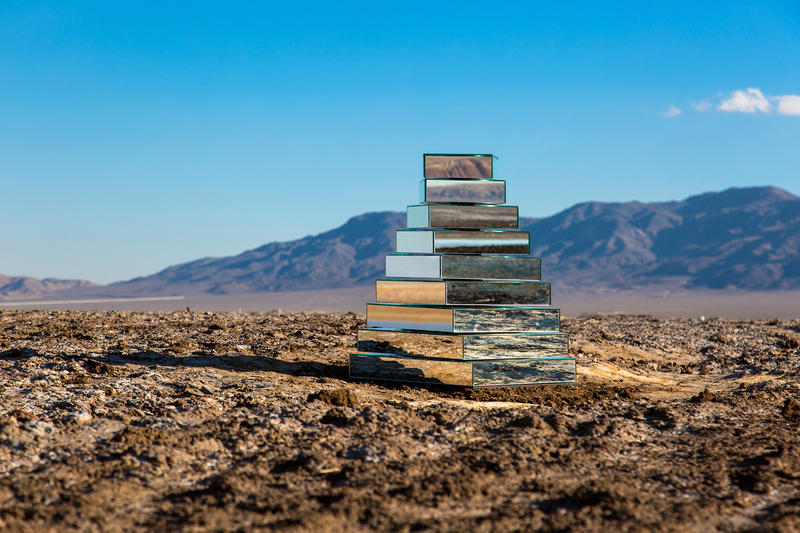 From Treviso, Italy to Central Desert, Iran, these mirror installations play optical illusions and show the natural beauty of these locations. Shirin uses the art and her influence in the country to help younger artists grow. Artists and other creatives in Iran have been hit hard by sanctions and tariffs placed on the country. It can be hard to get canvas paper and other art supplies that the creatives need. More importantly, it is hard for Iranian citizens to travel to some parts of the world. Works from Shirin have been exhibited around the world. 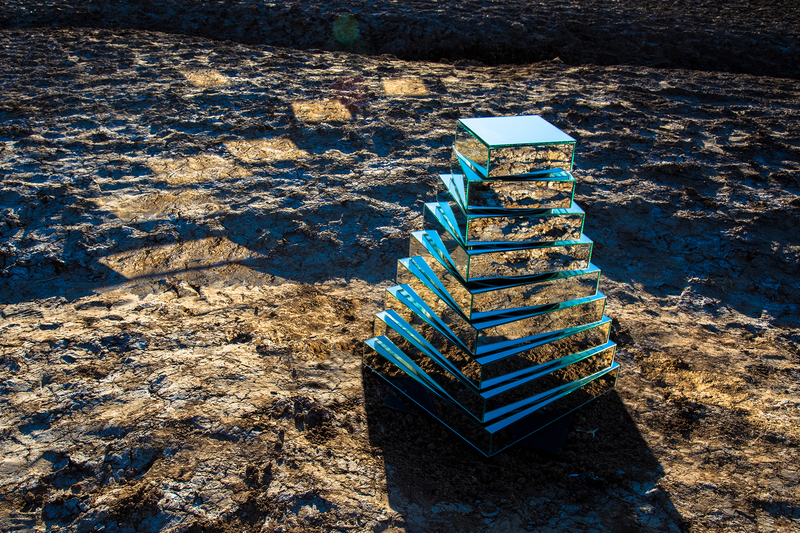 Mirrored Zuggurat was featured in Australia at the Underbelly Arts Festival on Cockatoo Island. 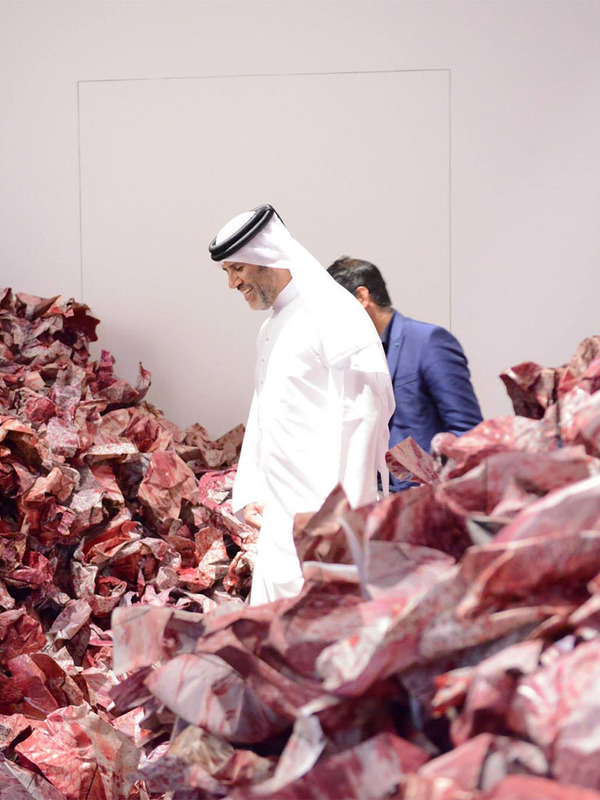 Pieces have also been featured at the Land Art International Biennale, the Aggregate Space Gallery, FILE ANIMA+, and Sotheby Hong Kong. These are just a couple of examples of places she has been featured. 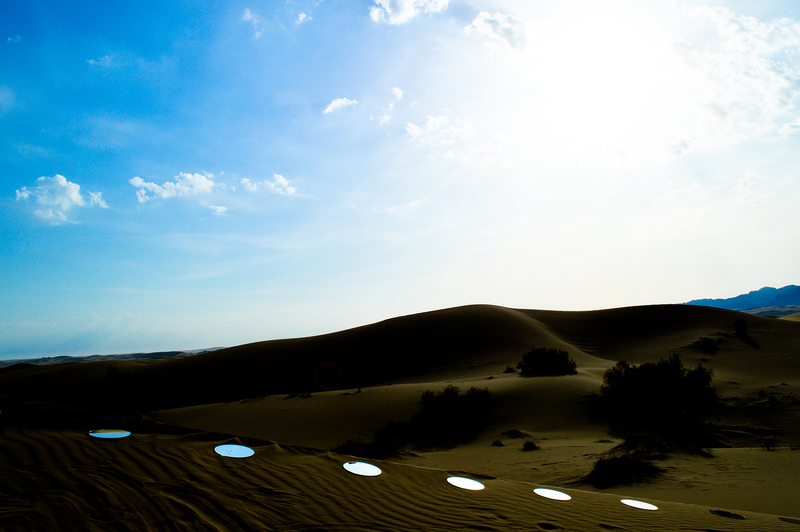 “In Evocation, I tackle one of the formidable problems with desert dwelling: the lack of water. 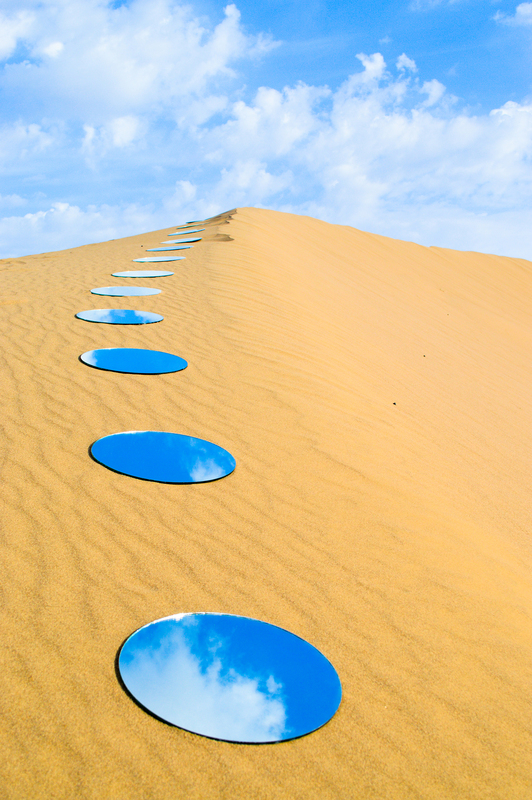 Exhibited in Iran Central Desert in 2013, this land art installation utilizes the reflective power of mirrors to bring quenching blue pools of “water” to the sand. The story of the tower of Babel happened in a time when humankind had just one language and just one place to live freely without boundaries; a united humanity of the generations. The Lord concerned that humankind could have too much power and freedom, punished them for their pride by multiplying their languages so that they could not be able to understand one another. 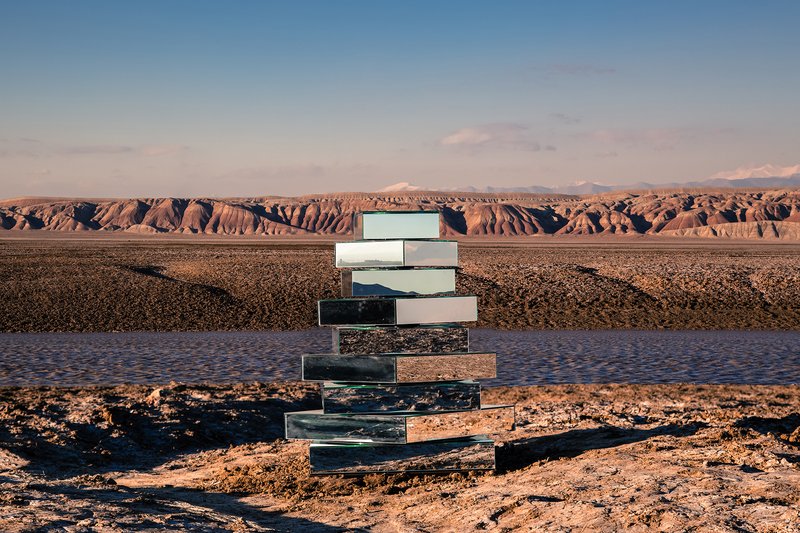 Babel Tower is an interactive installation that recontextualizes the spiritual architecture of the Babel Tower with modern materials, creating a union between ancient history and our present world; it is combining the past, present and offering a union for future. 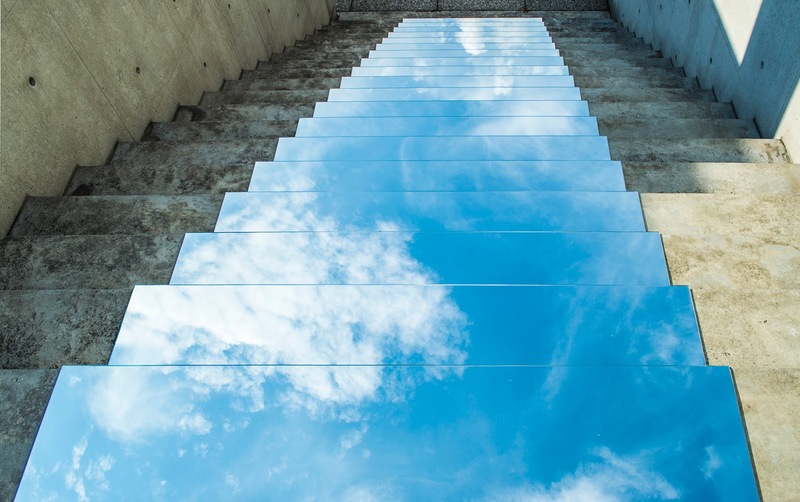 The top view of installation by reflecting the sky is connecting it to the earth, symbolizing the aim of Babel tower to reach for the heaven; The structural use of mirrors, serve as a reflective vessel for light, an integral feature of paradise. When installed in a city location it reacts with different animation patterns to the audience interaction, when placed in a natural environment its movement are changing depending on the weather conditions. 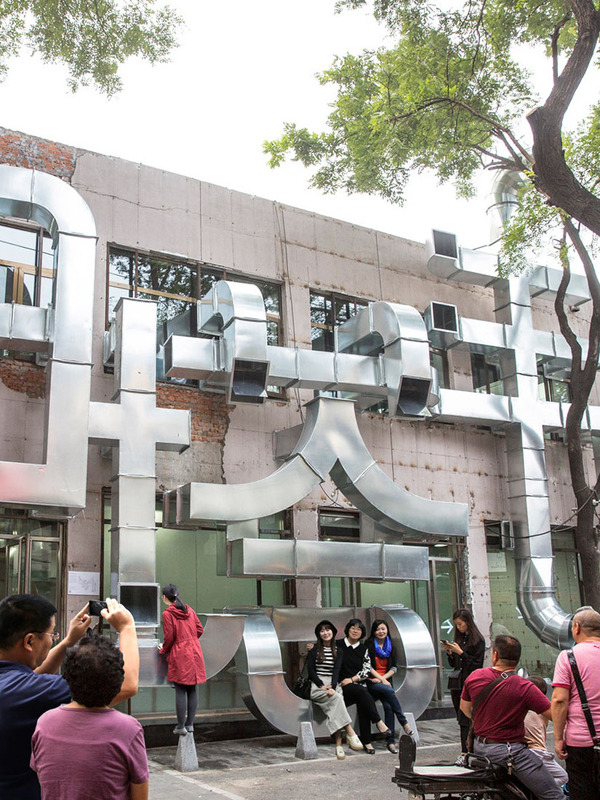 This interactive installation is giving a transformative image of the world by decomposing it into parts and recomposing it into a new union. One of the first uses of mirrors in architecture was in Persepolis, Persia at the Tachara Palace. Glossy black stones were polished till their surface was reflective, expanding the palace’s size and beauty. 2,000 years later, Shirin returns to the concept of doubling space and light with the installation Heaven on Earth. 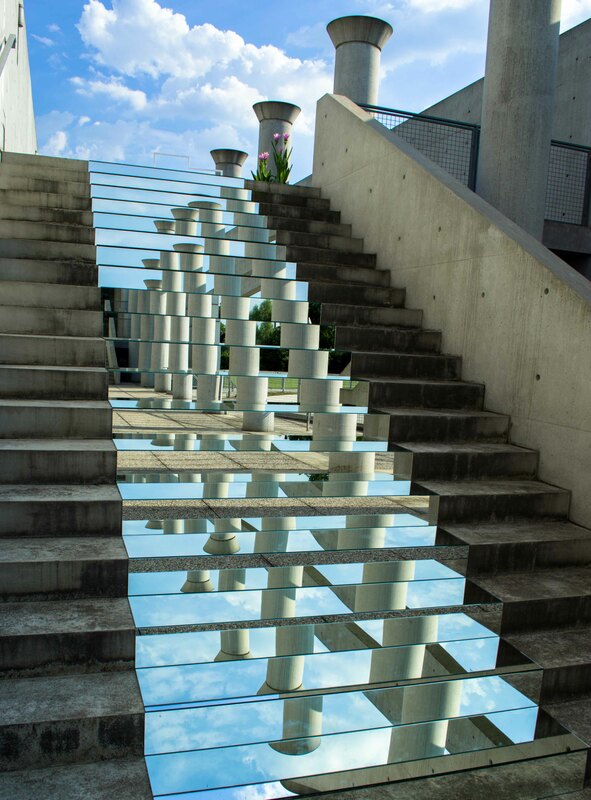 The basic geometric shapes and symmetrical composition of the mirrors angling up the cement stairs are borrowed from Islamic art, where symmetry is considered the highest form of beauty. 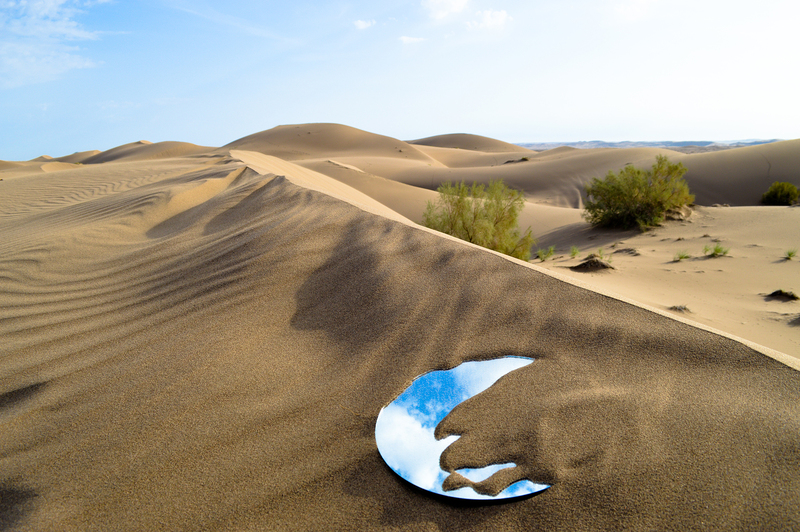 To the artist, the use of mirrors is integral to creating a paradise; mirrors give light, an important mystical concept in Persian culture. Standing in front of the staircase, the audience is facing a transformative view of themselves, and their notion of how the world is structured. 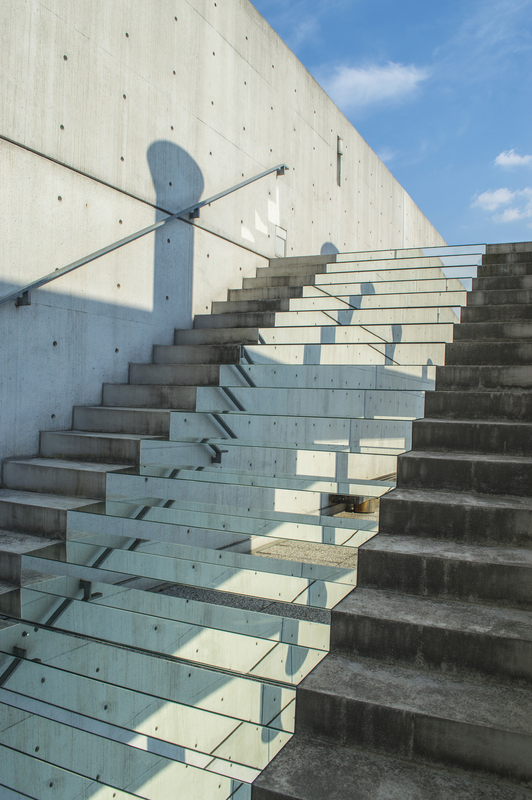 When the audience stands at the top of the stairs and looks down, they come face to face with an optical illusion that increases their light, and therefore their spirituality of the space. The very physics of nature are turned on their head- the sky is now the ground- and the light of the sun is magnified around the viewer. The blue sky spills onto the ground, mimicking a pool, and the audience is momentarily overcome with the desire to jump into the light. 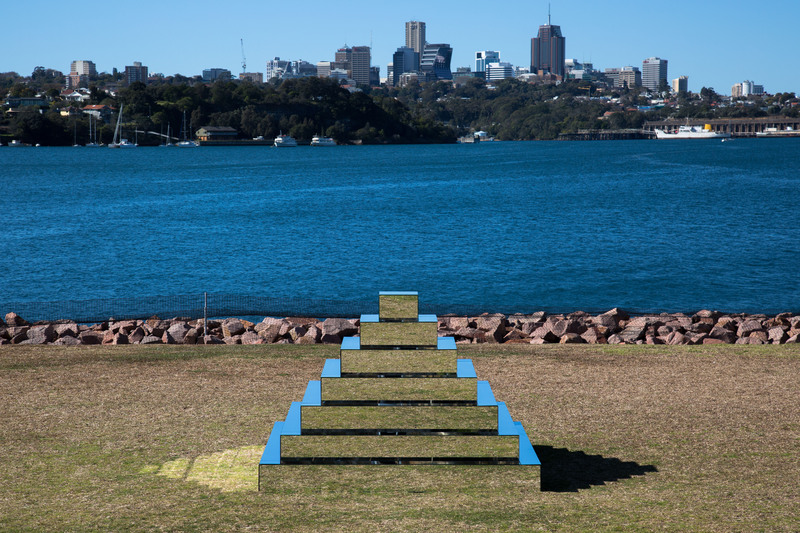 This installation was inspired by the pyramidal structure of Ziggurat, a common form of temple in ancient Mesopotamia, attempting to connect earth and sky, so humans could be nearer to god. 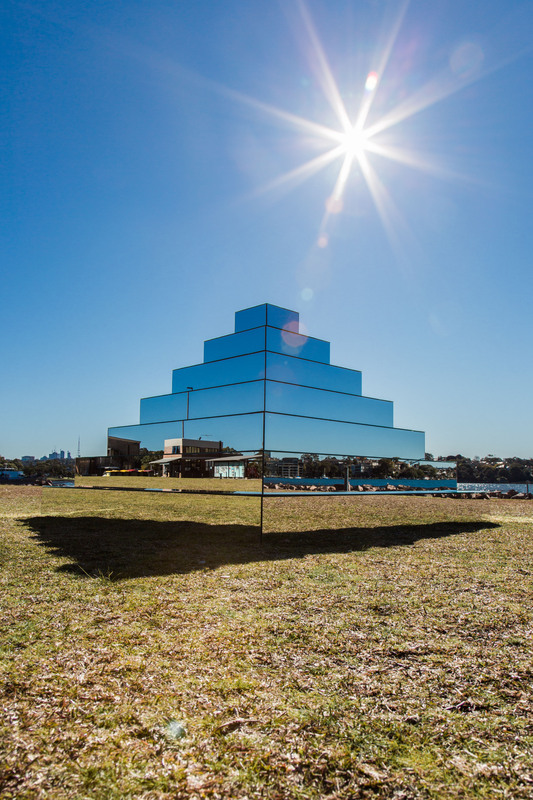 The Mirrored Ziggurat acts as a staircase, which seeks to connect nature with human beings and to create union of ancient history and today’s world. 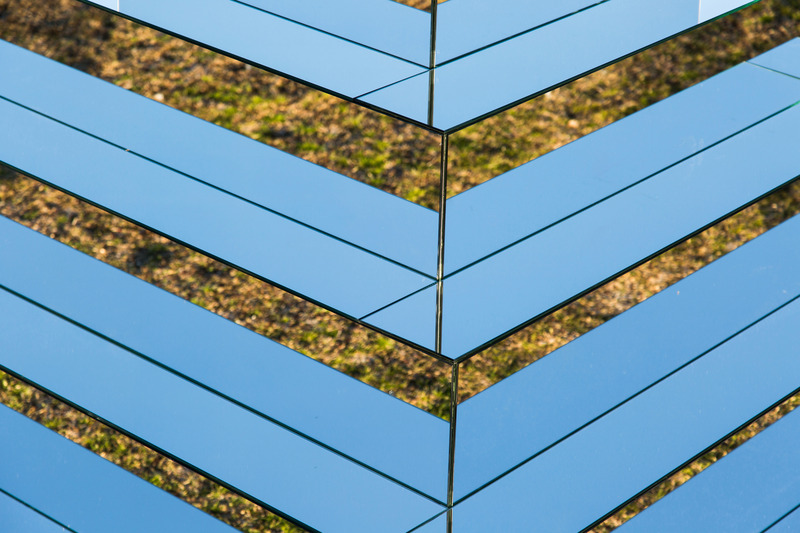 This installation offers a transformative view of the self. The Mirrored Ziggurat has seven levels that represent seven heavens. 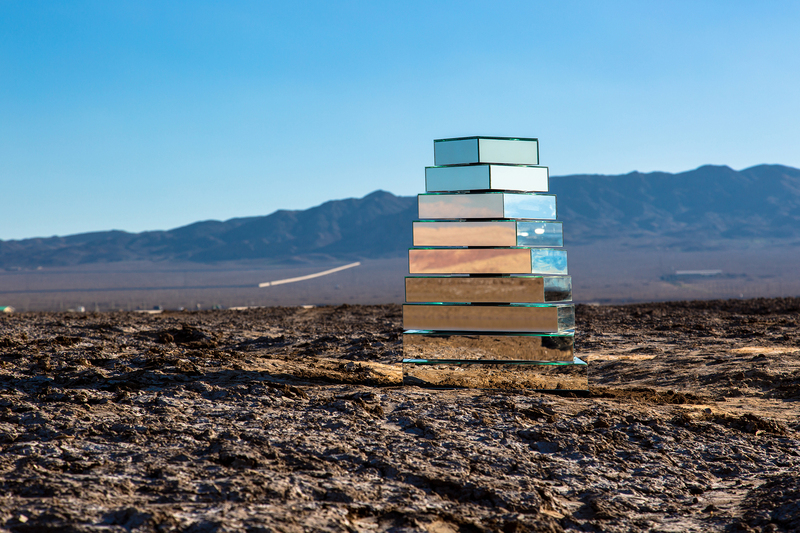 For the artist, mirrors amplify this paradise, giving light; an important mystical concept in Persian Culture, and a medium creating an optical illusion. All photos courtesy of the artist Shirin Abedinirad/shirinabedinirad.com unless otherwise noted. Home > Installation > Who Is Shirin Abedinirad? Posted on September 28, 2018	in the category Installation and tagged Art in Iran, Shirin Abedinirad, Tehran.